The Polar Medal celebrates Canada’s northern heritage, recognising extraordinary service in the polar regions and Northern Canada. 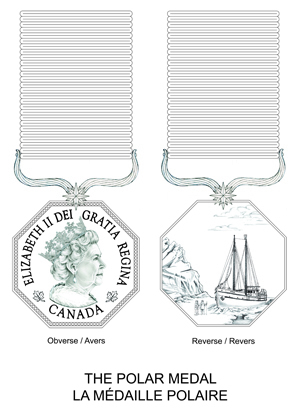 The Polar Medal is an official honour created by the Crown in 2005, and "honours those individuals who have withstood the rigours of the polar climate to make significant contributions to polar exploration and knowledge, scientific research, and the securement of Canada’s northern sovereignty." Earlier today - 7th March 2017 - it was announced that His Excellency the Right Honourable David Johnston, Governor General of Canada, will present Jill Heinerth with the Polar Medal during a ceremony on Thursday 9th March 2017 in London, Ontario. The ceremony will be streamed live online from 14.00 Eastern Standard Time. 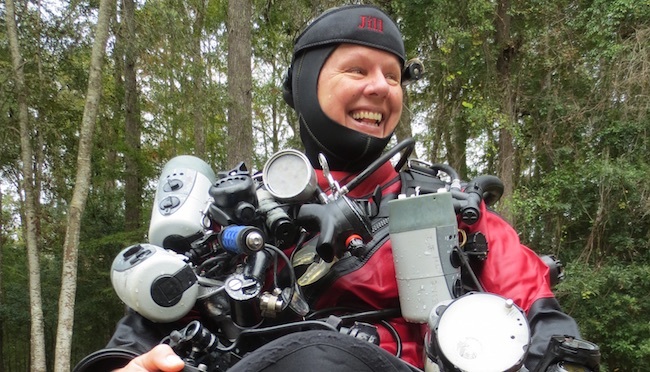 The press statement from the Governor General confirmed, "Jill Heinerth of Mississauga, Ontario is an expert technical diver, writer, photographer, filmmaker and the inaugural explorer-in-residence for the Royal Canadian Geographical Society. Considered one of the most accomplished explorers and underwater cave divers in the world, she has excelled at this high-risk activity with unparalleled skill. Her work has helped researchers unlock the history of climate change while broadening our understanding of the underwater ecosystems present in both the Arctic and the Antarctic." When we spoke to Jill earlier today she said she was "deeply honoured and pretty darn excited" to receive this award.